Even though the majority of people might think differently, the truth is that dementia is not really a disease. It is more a group of symptoms that interfere with intellectual and social functioning of the person on a daily basis. Thinking and memory are mostly affected in a negative way, but all of this can further cause changes in the behavior, mood and personality of the person in question. A number of reasons can either provoke dementia, or contribute to its development, and some of them are rare, while some aren’t. Even though it depends on the cause, the fact is that in some cases, the effects of dementia can be reversed, such as in cases when it is caused by certain drugs, overuse of alcohol, or even depression. On the other side, when it is caused by some injury or disease which is degenerative in nature and which affects the brain, there is nothing that can be done in order to reverse it. This means that there is no therapy or method of treatment which could improve the symptoms that the person has to deal with. According to the part of the brain in question, dementia can be classified as cortical or sobcortical. Cortical dementia is a result of the disorder which is related to the cerebral cortex, and Alzheimer's disease belongs to this type of dementia. On the other side, when some part of the brain which is located beneath the cortex does not function as it should, subcortical type of dementia is usually a result. Parkinson’s disease, as well as Huntington’s disease, are classified as this type of dementia. It is also possible that both parts of the brain are dysfunctional due to some reason, and then the person in question is diagnosed with multi-infarct dementia. Besides this classification, there is another one, which is made based on the cause. 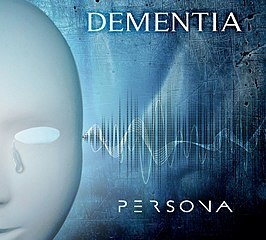 According to this criterion, there are more than several types, but vascular dementia, Alzheimer’s dementia, Parkinson’s disease dementia and dementia with Lewy bodies are some of the most frequently diagnosed. The greatest majority of people suffers from dementia due to Alzheimer’s disease, and it tends to affect elderly people. Some researches show that the frequency of this disease is increasing constantly, and that 50% of those who are older than 80 have it.